In the next paragraphs, we present some of the best villages we can’t miss if we visit Costa Brava this summer. Blanes is a town in the comarca of Selva in Girona. It is known as the “Gateway to the Costa Brava”. Its coast is the beginning of the area known as Costa Brava, which stretches til up to the French border. Other places of interest include botanical gardens, coves, such as the Cala Bona, and beautiful beaches which are surrounded by mountains. 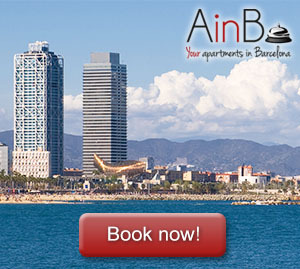 If you are visiting Barcelona, you can easily reach bus or train station from this apartment in Via Laietana. Once there, there are plenty of options to reach the town of Blanes. Calella de Palafrugell is a traditional fishing village with artisan houses. In addition to its breath-taking beaches, we can also enjoy a cultural event such as the Festival of Cap Roig, where we can see national and international top artists performing in the gardens of the castle that gives name to this series of shows. Begur is a municipality in the comarca of the Baix Empordà on the coastline of the Costa Brava. It is an important tourist attraction in the Baix Empordà, but despite its tourist character, the village has important historical remnants that go back in early history. The castle of Begur, which was constructed in 17th century, is a good example of the medieval remains we can find all around this majestic area. Some of the most prestigious beaches of the Costa Brava are found in this zone: Sa Riera, Aiguafreda, sa Tuna, Platja Fonda, Fornells and Aiguablava. L’Escala is a municipality in the comarca of the Alt Empordà in GironaIt is located between the southern end of the Gulf of Roses and Cala (bay) Montgó. It is an important fishing port and tourist centre, and has a festival dedicated to its famous anchovies. The ruins of Empúries are located on the territory of the municipality, with Phoenician and Roman remains dating from 580 BC. In addition to its wonderful beaches, those remains are also an astonishing attraction we can’t miss while we visit Costa Brava. After our visit to L’Escala and Empúries, we can drive to Cadaqués. This is a traditional fishing village with and unbeatable charm and an unbeatable cultural heritage. In fact, famous painters such as Salvador Dalí, Pablo Picasso, Marcel Duchamp or Joan Miró couldn’t help falling in love with Cadaqués. Furthermore, we can visit Salvador Dalí’s house and try to understand a little bit more of the surrealistic Dalí’s world.